— From Welcome To The World, Baby! 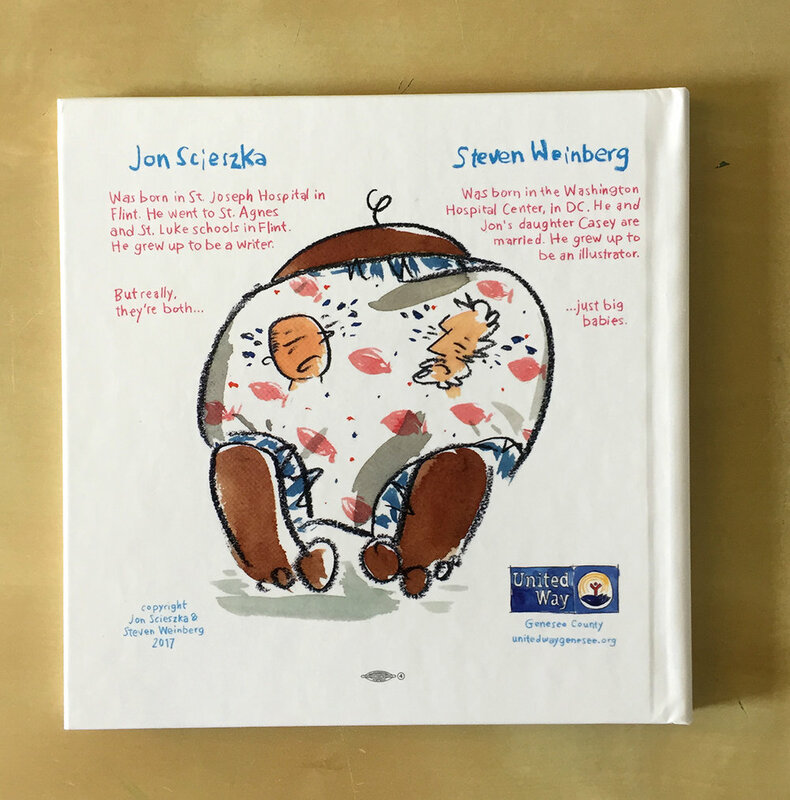 A special collaboration mini-book with Jon Scieszka and United Way. Well this was a blast. 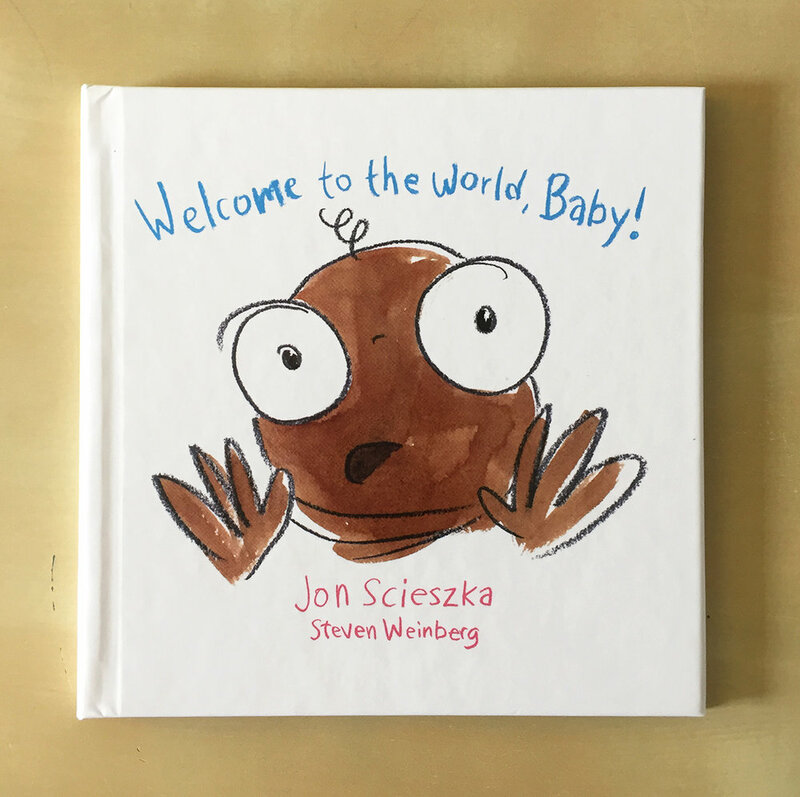 Jon Scieszka and I were asked by United Way to make a book to go out to EVERY new mom in Flint, Michigan and the wider Genesee County area. They told us they'd print 10,000 of them, but any guidance was limited--which with Jon and I could be a bit dangerous. We figured we wanted something new moms and dads would really want to read to their new bundle of joy. Something bright and loose, ideally approaching as chaotic as those first weeks are, And maybe throwing in a tiny bit of advice. But most important: make it funny. Overall it's just kinda wild to think this will be literally THE FIRST BOOK thousands of kids will have read to them. Better make it worth a second read, right?